Australia’s only Formula 1 driver, Mark Webber, has stated the Red Bull F1 cars are not going to be competitive at this weekend’s Australian Grand Prix. He has stated that the Red Bull cars don’t feel bad, but the other team’s cars are just performing much better. Webber also said that the car setup favors the driving style of new Red Bull teammate Sebastian Vettel more than his own. The favorites to the win the Aussie Grand Prix include Williams, Ferrari, and BMW according to Webber. Webber has also joined in on criticizing the FIA’s new scoring system which would crown the champion based on which driver wins the most amount of races as opposed to the previous points system. The FIA has since postponed this new rule due to the outcry from teams and drivers. The Red Bull Formula 1 team has released their new challenger for the 2009 season, the RB5. This is the car Sebastian Vettel and Mark Webber will be driving this season. The Red Bull team has high hopes for Vettel after last season when he became the youngest ever driver to win a Formula 1 race. Click through to view the gallery. 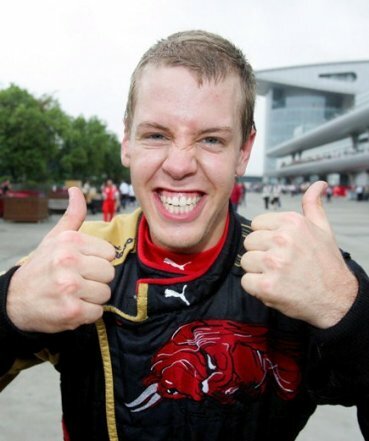 Sebasitian Vettel (the other Formula One young phenom) is off to a great start with his new Red Bull team. He set the fastest lap for the second straight day in Formula One testing at Barcelona’s Circuit de Catalunya. His fastest lap was set at 1:19.295. Vettel is coming off a great year with Toro Rosso in which he became the youngest driver to win a Formula One race with his impressive performance at Monza.